Darned good traffic on the blog right now, lots of Black Sabbath fans popping by at the moment which is good fun. Also healthy interest in my western stuff, the interview with my Tornado Blaze model Ellinor sticking out at the moment. The 2000 interview with David Coverdale is always a top draw, and I have noticed that his wife has seen it (she used an image on her page), so that is nice. Steve Lukather seems to have checked his stuff out, I can certainly see links. All in all, I can see that loads of people – some that are pretty famous – has been here. I like this little world of mine, it is what it is. 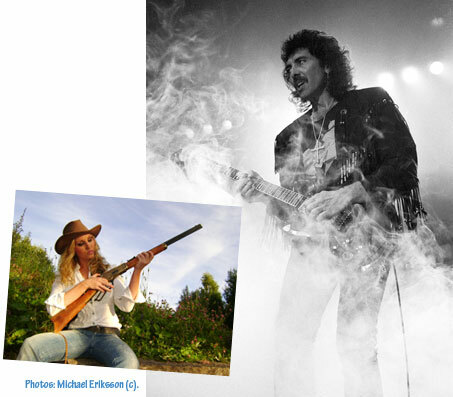 (My images: model Ellinor in 2012 and Tony Iommi in 1989). It has to be said that I enjoyed RETROFUTURE 8 quite a lot, and that´s why it´s so nice that the feedback I keep hearing by word of mouth is so strong, very positive indeed. I took a bit of a gamble with this issue, it featured stuff that you could get your head chopped off for these days and I said my piece about things in general. Not the kind of thing that you see every day in this country, screwed up as it is by political correctness and fear. But I had to do it. I was bowing out after all. No time to hold back then – if truth hurts, then so be it. As you know, I´ve handed out the RETROFUTURE magazines for free in these parts (14.000 copies, in fact) and so this final issue also represents a climax of a phase in my life as a publisher that was a bit special in that sense. I really spent the last five years of this hobby doing it all just for the pure enjoyment of it all. It also cost me an arm and a leg to do it, but at least I had quite a lot of fun and I also left a bit of a legacy behind which I´m proud of. What I created with RETROFUTURE was unique and I doubt that anybody else will ever repeat what I did in these parts. I think I´ve earned the right to be proud. Great feedback from prominent journalists (not your ordinary leftist crowd, but really good ones including a legendary publisher – it doesn´t get any better than that you know), and that feels really good I´ve to say. The article about A4, I5 and F4 (see earlier post) went down a storm and will in fact be republished in two publications. I think that says a lot, don´t you? The major piece on prepping was written last year but it´s all coming true now, sad as that is. I was right on the money and it´s interesting to note that quite a lot of people was drawn to that subject. I think that people know, deep down, that we´re in serious trouble now. A fact that mainstream media still ignores, strange as that is. So here we are then, the final batch of magazines have been given out (last few hundred went to Teknikland, I hear they just blew out the door!) and so RETROFUTURE is now really a thing of the past. I shall miss it. Had a blast though, it was a good thing. What a night. I´m battling a cold but I had to put on a brave face and attend the RETROFUTURE 8 release party at Jane Doe (see earlier posts for details). It was very nice to spend some quality time with Thomas Drevin and Björn Höglund though, as they played Kiss and Deep Purple classics all night long. I´ll take a few days off from blogging right now, and try to get back on track. 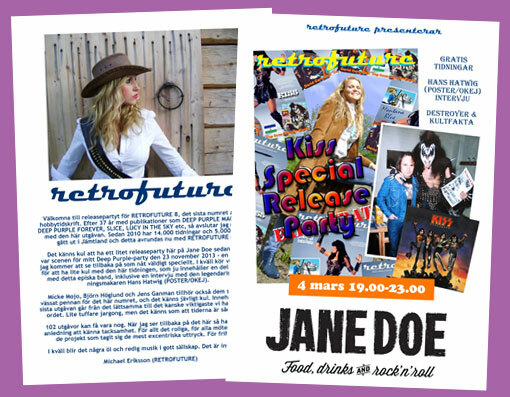 Got this from the printers yesterday, a RETROFUTURE greeting of sorts for the release party at Jane Doe here in Östersund (Jämtland County) coming up on March 4 (see earlier posts). It will be spread around the locale on all the tables etc, giving the visitor some background information to what the event is all about. Good traffic to this blog right now as the news is spreading (facebook mainly). I visited the annual Storsie meeting yesterday in a small town called Brunflo, located by the shore of Storsjön (The Great Lake). It was held by Föreningen Storsjöodjuret (roughly translates to the Great Lake Monster Association) and friends of this blog will know about their work around this lake. Witnesses talked about their sightings and interesting photographs was on display (as usual). These evenings are always quite interesting. 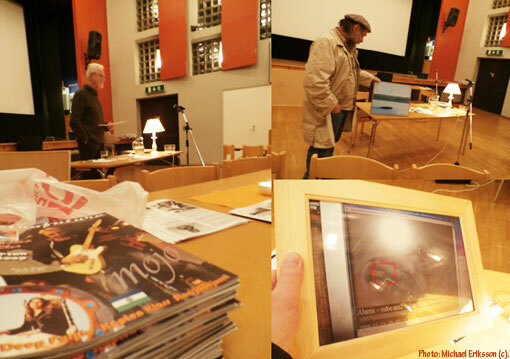 I handed out copies of RETROFUTURE 7 and talked about my 1977 experience. I was also given a Honorary Membership Award by the association, which was nice. There has been a few articles, including film and photographic material, in local media this summer. The mystery lives on. 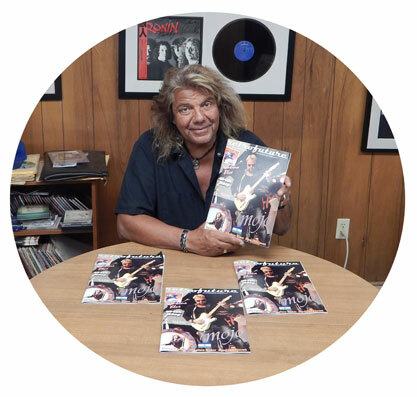 Got this snapshot in the mail today, Johnnie Bolin posing with RETROFUTURE 7 in Sioux City. Trace Keane arranged the session. Thank you, much appreciated. 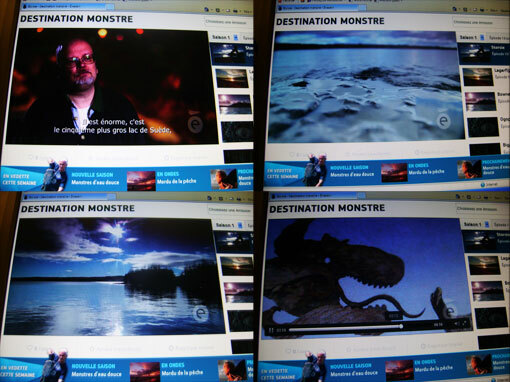 Èvasion has aired the Storsie episode of Destination Monstre in Canada (and possibly France, I heard somebody mention that the other day), and they have put up a teaser (4.16 long) on their site. 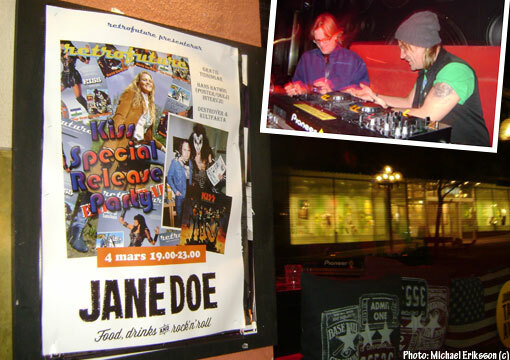 Looks like the beginning of the show and I pop up a couple of times (and I also spotted a close up of part of the cover of my 2012 publication “Storsjöodjuret”, as shown here). It will be interesting to see the complete episode some day (fingers crossed). Good for the local tourist trade, but I did this for other reasons. Love Jämtland (County) though. Check out the teaser here (for however long they still have it going).